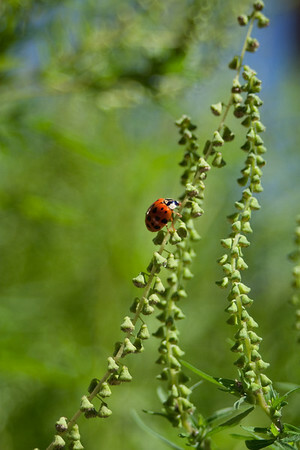 Ladybugs -- or ladybird beetles if you prefer. 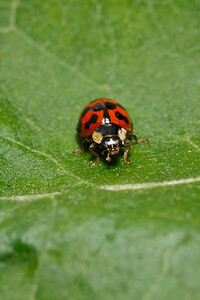 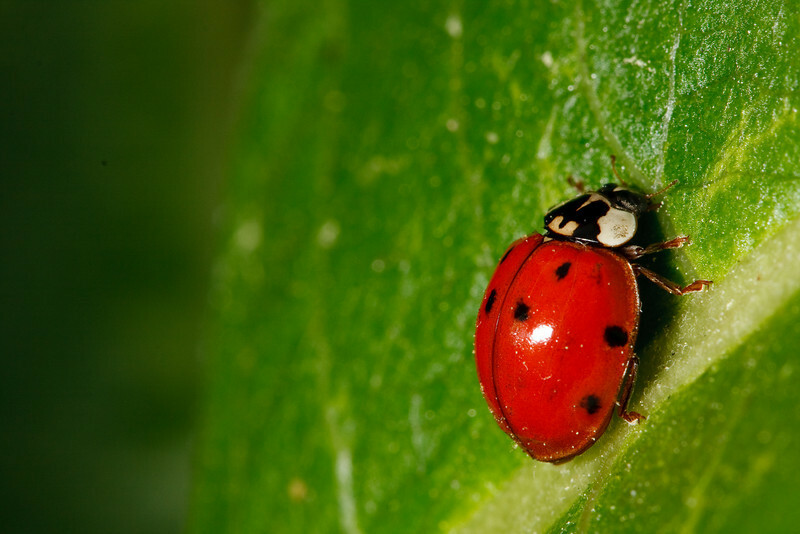 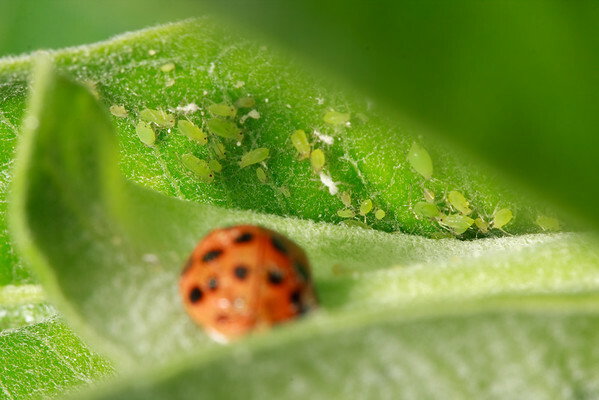 A larval Asian ladybug in its fourth instar clings to a green stem. 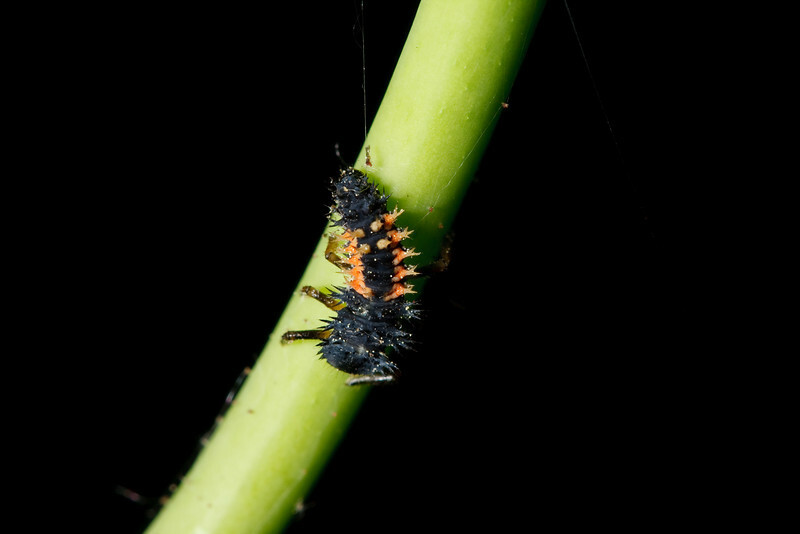 An Asian ladybug hiding under the links in a chain fence. 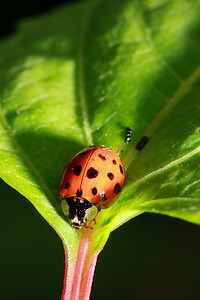 Metallic paper prints of this photo are amazing. 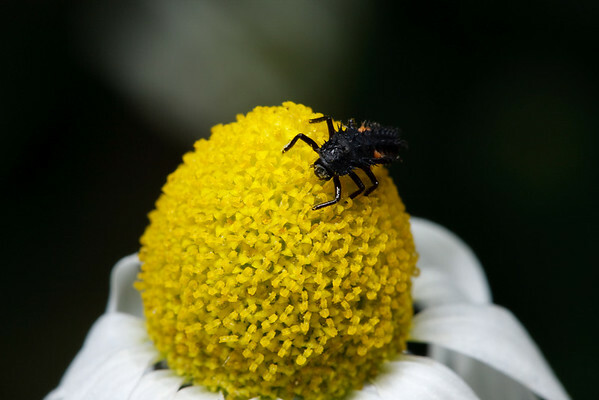 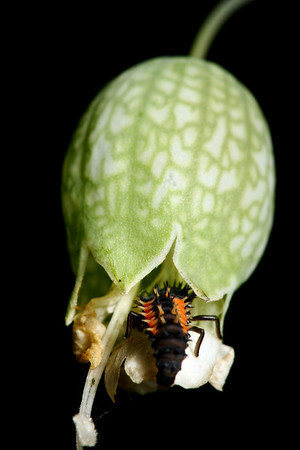 A larval Asian ladybug crawls inside a flower bud for shelter from the elements. 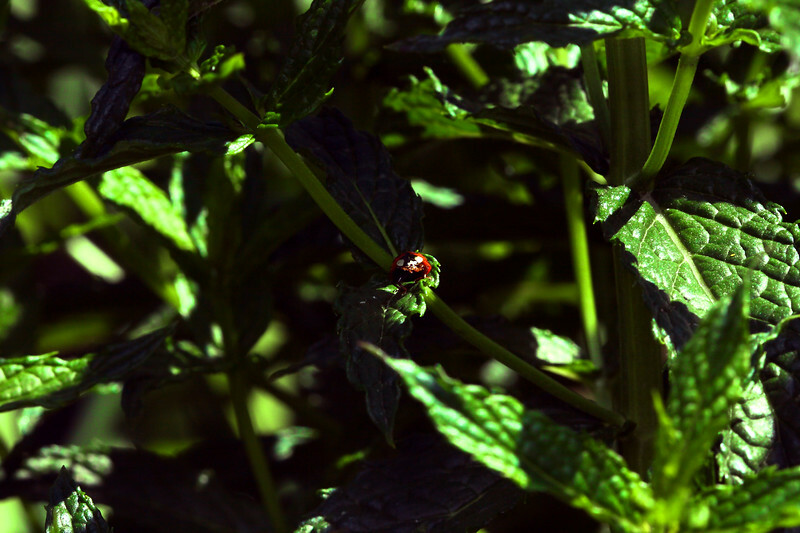 A lone ladybug hides in the shadows of dark green leaves. 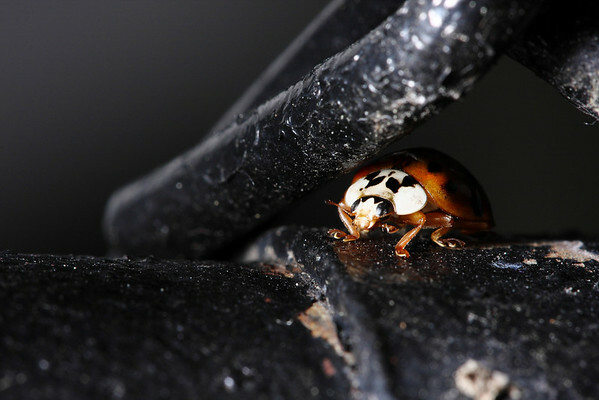 An Asian ladybug hiding under the links in a chain fence. 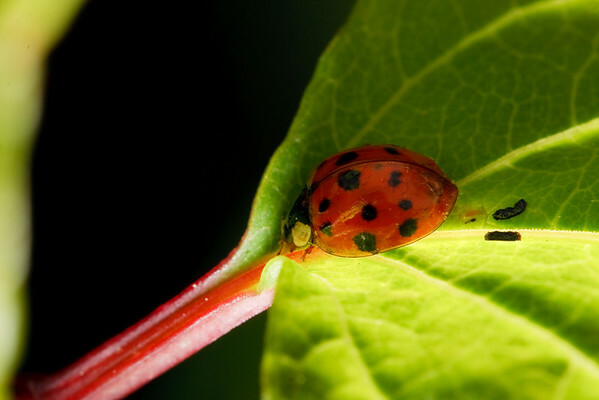 Metallic paper prints of this photo are amazing.